An apex Court bench comprising of Chief Justice R.M. Lodha, Justice Kurian Joseph and Justice Rohinton F Nariman on Friday held that three per cent reservation for differently-abled persons be provided in all categories of government jobs, including appointments and promotions to the IAS, while pulling up the Centre for ‘frustrating’ the very purpose of empowering legislation by opposing it. The Court was ruling on the Centre’s petition, challenging Bombay High Court’s order, which had directed the Centre and the Union Public Service Commission to implement a three per cent quota in direct recruitments and promotions for the disabled in the IAS. This order was issued on a PIL filed by the National Confederation for Development of Disabled, which was represented by senior advocate R.S. Suri and Arpit Bhargava in the apex court. 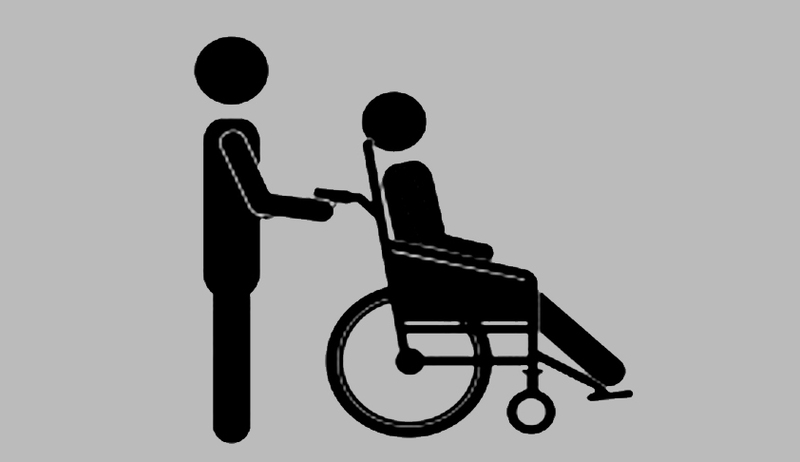 Considering the interests of more than four crore people with disabilities in the country, the Bench asserted that the disabled persons have not got their due in the last 19 years after the framing of the Persons with Disabilities (Equal Opportunities, Protection of Rights and Full Participation) Act, which was passed in 1995. It asked the Centre to show a big heart and give the differently-abled people their due in all central and state government jobs. Appointment under Section 33 “can be by way of direct recruitment, promotion, deputation even!” the Chief Justice reportedly said. Section 33 of the PWD Act reserves at least 3% seats in “every establishment” for persons suffering from blindness or low vision, hearing impairment and locomotor disability or cerebral palsy. The bench told the Additional Solicitor General that the objective of the reservation policy, as envisaged by Parliament, was unambiguous that the differently-abled people must get the benefits without technical impediments. “Once Parliament prescribes for reservation in appointments, it will cover direct recruitment, promotion and even deputation. Our experience tells us that it is one legislation that has never been effectively implemented. In any case, it is a beneficial legislation and you should interpret in a manner so that they get the benefits,” said the bench. The Centre, as represented by Additional Solicitor General Pinky Anand, submitted that reservation cannot be given in case of promotion to Group A and Group B officers category, as it is not a case of appointment. The Court expressed its displeasure over the Centre’s hyper-technical approach. The Court reportedly cited a 2010 apex court judgment, in the Ravi Prakash Gupta case, which had laid down that the three per cent quota for the differently abled applied to promotions, too. In 2010, the apex court had held that the three per cent quota must be computed on the basis of the total vacancies in the strength of a cadre. Therefore, no distinction can be made between posts to be filled by recruitment and those to be filled through promotion. The high court ruling had come on a public interest plea moved on behalf of a disabled civil servant in Maharashtra who was denied the benefit of reservation in the matter of promotion to the IAS cadre.